His current project, funded by a Discovery Early Career Researcher Award (DECRA) from the Australian Research Council, explores the astronomical knowledge of Torres Strait Islanders. 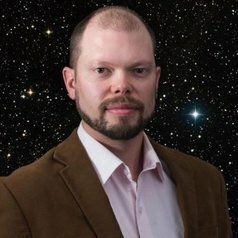 Born in the United States, Duane earned a degree in physics at the University of Missouri before moving to Australia to complete a research Masters degree in astrophysics at UNSW searching for extrasolar planets, followed by a PhD in Indigenous Studies at Macquarie University studying Aboriginal Astronomy. He is a member of the International Astronomical Union (IAU), Chair of the IAU Working Group on Intangible Heritage, Secretary of the International Society of Archaeoastronomy and Astronomy in Culture, and an associate editor of the Journal of Astronomical History and Heritage. Environment and Landscape, SAS Encyclopaedia of Archaeological Sciences, edited by Heather Blasco. Reconstructing the Star Knowledge of Aboriginal Tasmanians, Journal of Astronomical History and Heritage, Vol. 19(3), pp. 327–347. “Dancing with the stars”: astronomy and music in the Torres Strait, Proceedings of INSAP IX, edited by K. White. Lampeter, UK: Sophia Centre Press. Identifying seasonal stars in Kaurna astronomical traditions., Journal of Astronomical History & Heritage, Vol. 18(1), pp. 39-52. Australian Aboriginal astronomy: an overview., Handbook of Archaeoastronomy and Ethnoastronomy, Vol. III, edited by Clive Ruggles. Springer-Verlag, pp. 2215-2223. Are supernovae recorded in Indigenous astronomical traditions?, Journal of Astronomical History & Heritage, Vol. 7(2), pp. 161-170. Comet and meteorite traditions of Aboriginal Australians, Encyclopaedia of the History of Science, Technology, and Medicine in Non-Western Cultures, 3rd Edition, edited by Helaine Selin. Springer-Netherlands, pp. 1-4. Aboriginal Astronomical traditions from Ooldea, South Australia, Part 1: Nyeeruna and the Orion Story, Journal of Astronomical History & Heritage, Vol. 17(2), pp. 180-194. Meteors in the Maori astronomical traditions of New Zealand, WGN - Journal of the International Meteor Organization, Vol. 42(1), pp. 31-34. Geomythology and cosmic impacts in Australia., West Australian Geologist, Vol. 505, pp. 11-14. Dreamtime Astronomy: development of a new Indigenous program at Sydney Observatory., Journal of Astronomical History & Heritage, Vol. 17(2), pp. 195-204. Recorded accounts of meteoritic events in the oral traditions of Indigenous Australians., Archaeoastronomy, Vol. 25, pp. 99-111. Aboriginal oral traditions of Australian impact craters., Journal of Astronomical History & Heritage, Vol. 16(3), pp. 295-311. The discovery and history of the Dalgaranga meteorite crater, Western Australia., Australian Journal of Earth Sciences, Vol. 60(5), pp. 637-646. Wurdi Youang: an Australian Aboriginal stone arrangement with possible solar indications., Rock Art Research, Vol. 30(1), pp. 55-65. Aurorae in Australian Aboriginal traditions., Journal of Astronomical History & Heritage, Vol. 16(2), 207-219. Astronomical orientations of Bora ceremonial grounds in Southeast Australia., Australian Archaeology, No. 77, pp. 30-37. Rock art at the ‘Mini-Yengo’ site near Kulnura, New South Wales., Rock Art Research, Vol. 29(2), pp. 23-25. Orientations of linear stone arrangements in New South Wales., Australian Archaeology, No. 75, 46-54. Astronomical symbolism in Australian Aboriginal rock art., Rock Art Research, Vol. 28(1), pp. 99-106. An impact crater in Palm Valley, Central Australia?, Australian Space Sciences Conference Series, Vol. 11. Edited by Wayne Short & Iver Cairns, National Space Society of Australia, pp. 129-140. Eclipses in Australian Aboriginal Astronomy., Journal of Astronomical History & Heritage, Vol. 14(2), pp. 103-114. Meteoritics and cosmology among the Aboriginal cultures of Central Australia., Journal of Cosmology, Vol. 13, pp. 3743-3753. "Bridging the gap" through Australian cultural astronomy., Archaeoastronomy & Ethnoastronomy: building bridges between cultures, edited by Clive Ruggles. Cambridge University Press, pp. 282-290. An Aboriginal Australian record of the Great Eruption of Eta Carinae, Journal of Astronomical History & Heritage, Vol. 13(3), pp. 220-234. Meteors in Australian Aboriginal Dreamings., WGN - Journal of the International Meteor Organization, Vol. 38(3), pp. 87-98. The astronomy of Aboriginal Australia., The Role of Astronomy in Society and Culture, edited by D. Valls-Gabaud & A. Boksenberg. Cambridge University Press, pp. 39-47. Australian Aboriginal geomythology: eyewitness accounts of cosmic impacts?, Archaeoastronomy, Vol. 22, pp. 60-93. The University of New South Wales Extrasolar Planet Search: a catalogue of variable stars from fields observed 2004-2007., Monthly Notices of the Royal Astronomical Society, Vol. 385(4), pp. 1749-1763. The first high-amplitude delta-scuti star in an eclipsing binary system., Monthly Notices of the Royal Astronomical Society, Vol. 382(1), pp. 239-244.